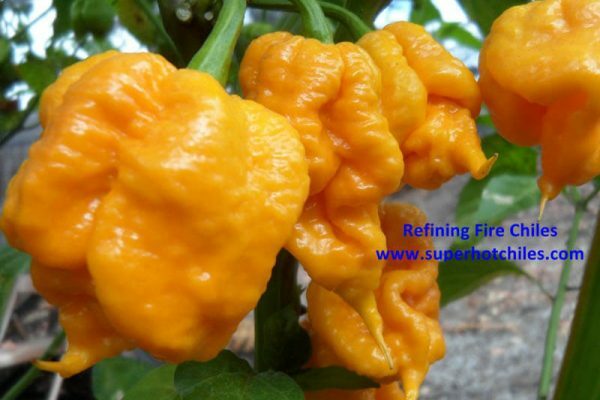 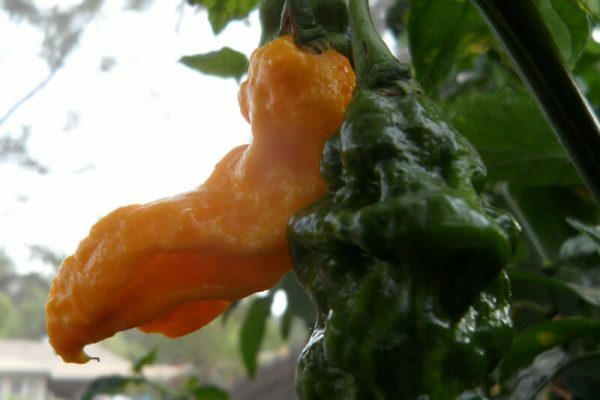 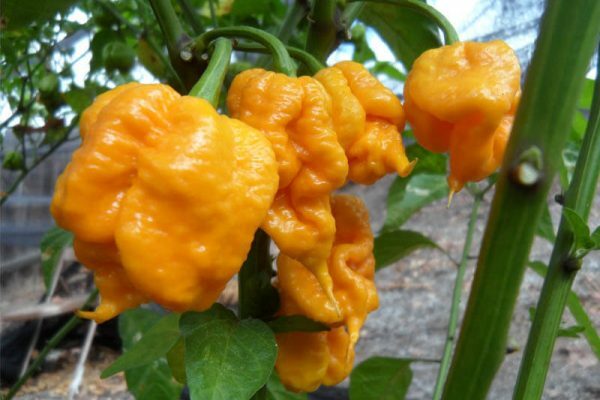 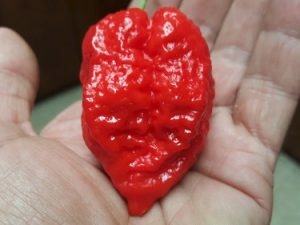 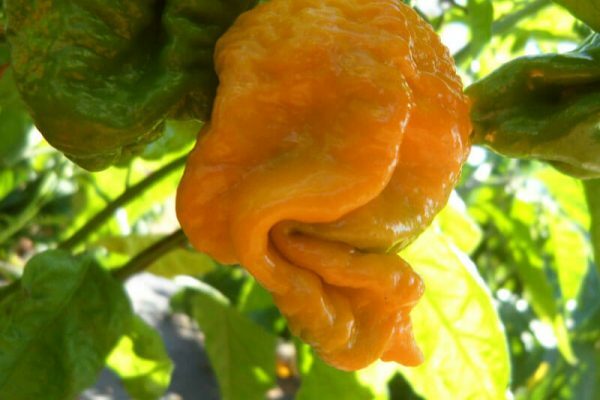 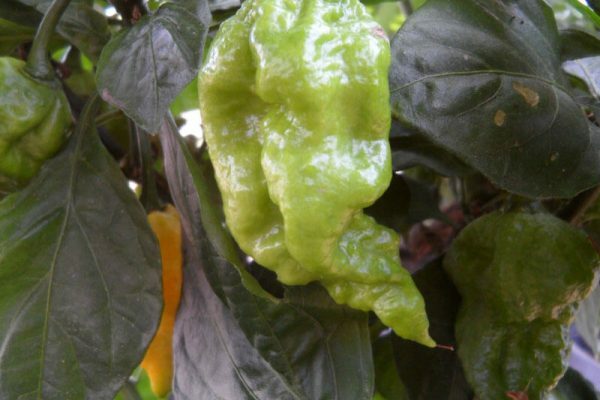 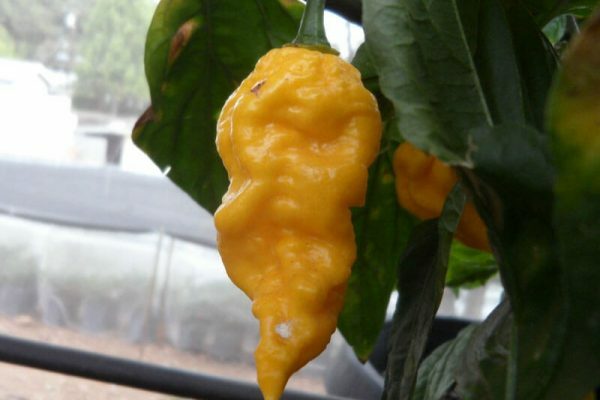 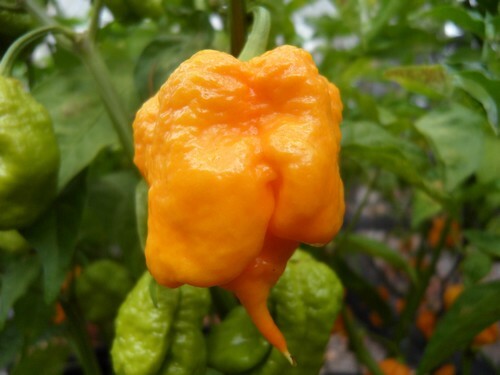 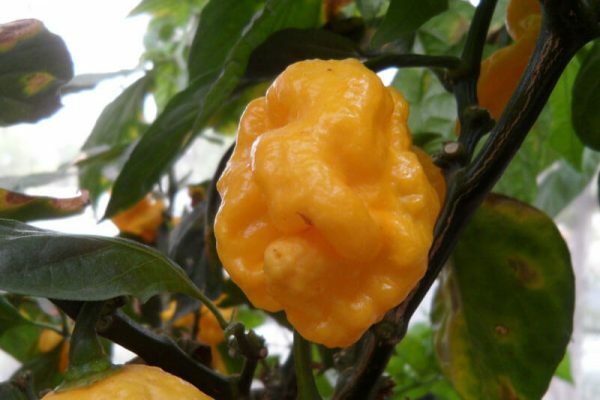 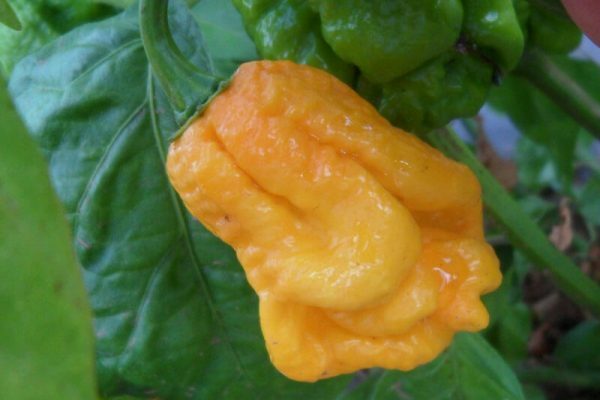 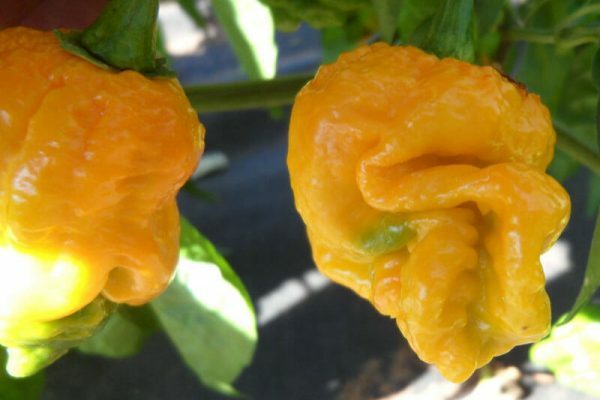 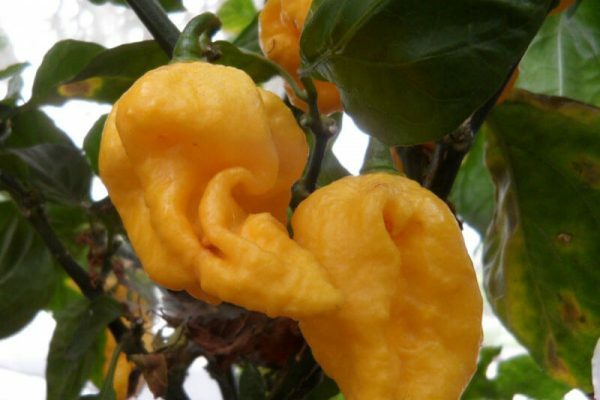 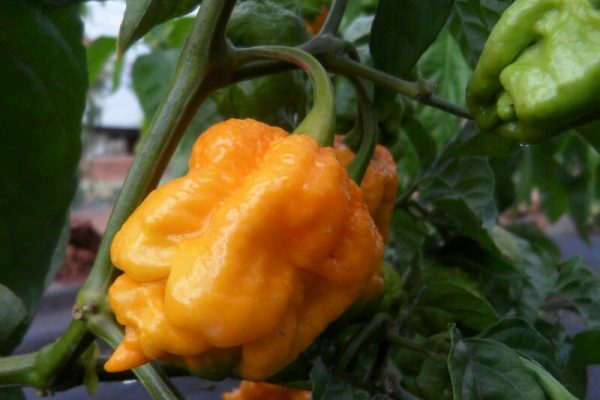 This is the natural Yellow mutation of the Trinidad 7 Pot Primo created by Troy Primeaux of Louisiana. 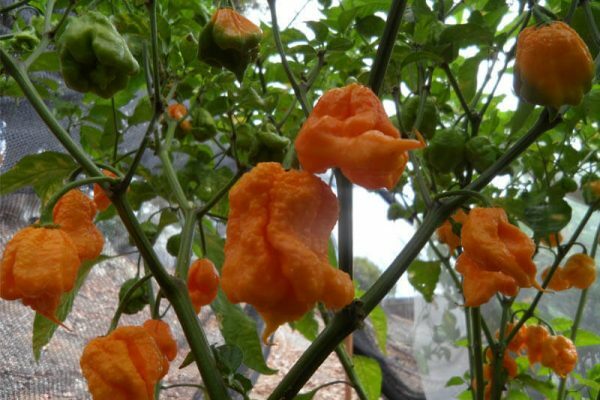 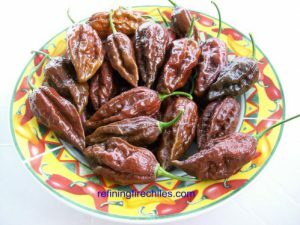 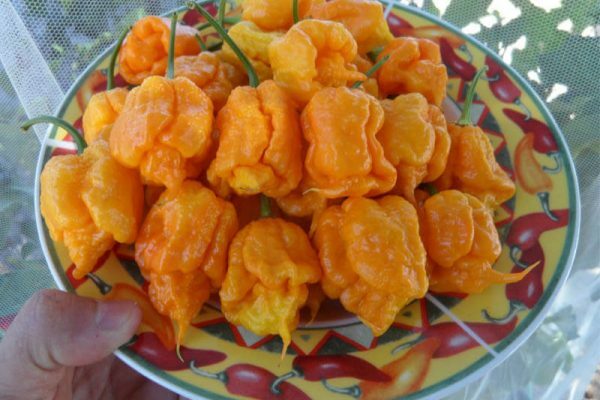 A few growers over the years had some of their 7 Pot Primo chile plants produce yellow pods and these are from them. 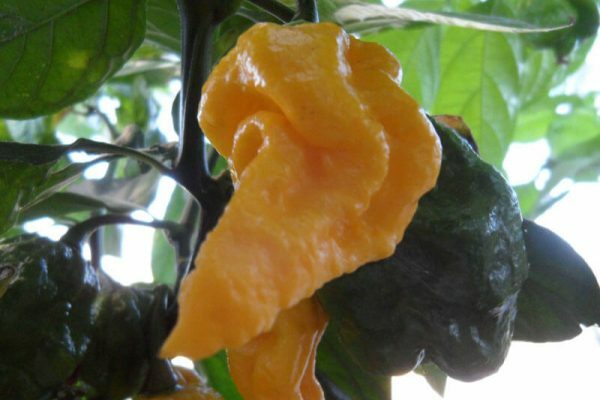 The stability of this strain cannot be guaranteed as it has only been grown out for a few years. 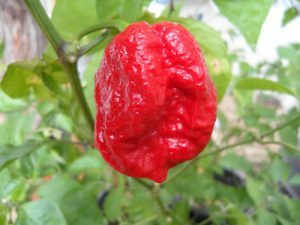 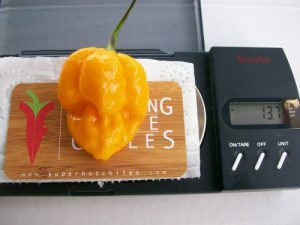 The heat level is lower than the original red variety and like other yellow orange superhots will have a more sweeter citrus type flavor. 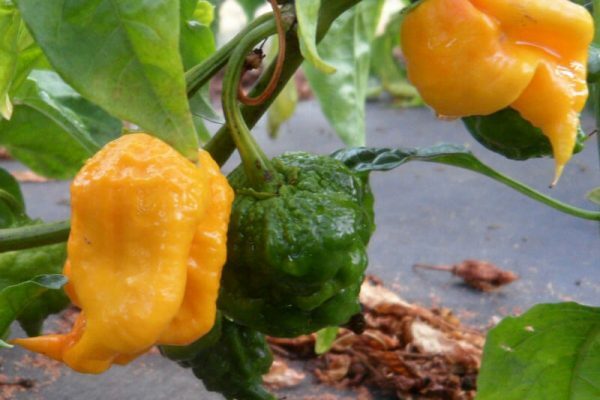 The peppers ripen from light green to Yellow and finally light orange. 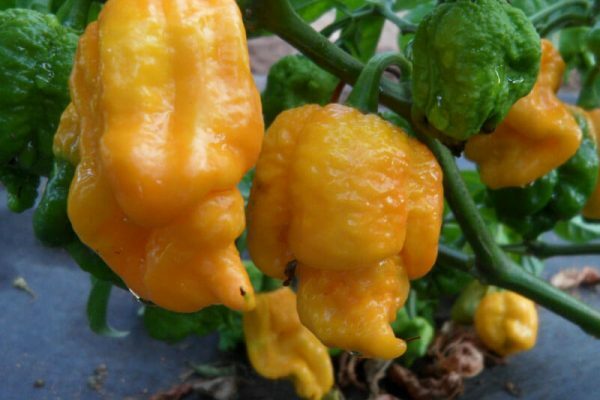 Yellow 7 Pot Primo chile plants will grow over 3 feet in height.